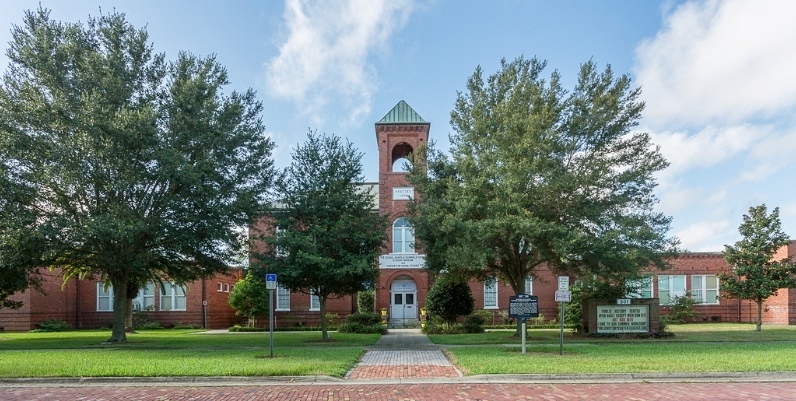 A Sanford-based investment firm is under contract to purchase the former Student Museum from Seminole County Public Schools. Romulus Holdings LLC submitted the only bid on the property, which was built in 1902 and is listed on the U.S. Register of Historic Places. Romulus is owned by Lisa Lessard, wife of former Sanford Mayor Brady Lessard. Lisa Lessard said her company is finishing it’s due diligence and expects to close on the property in June. Initial plans call for a mix of professional and community uses. Local architect and Sanford native Jerry Mills is working with Lessard to draft the plans. Lessard said she met briefly with city of Sanford officials, including historic preservation officer Christine Dalton. In addition to more city meetings, Lessard said she plans to meet with the Sanford Historic Trust on May 19 to present her initial plans and gather input. “The building is a community treasure that needs to be preserved,” said Lessard. Once Romulus has formally purchased the property, Lessard said the first order of business would be “sealing the envelope of the building,” by repairing the roof, windows and walls. She also plans to return the inside of the building to its original layout. For instance, the entry foyer had been chopped up with partitions. “When you walk in the building, we want it to look like it did when it was an actual school,” Lessard said. She estimates it will take about 14 months and $2 million (in addition to the $225,000 purchase offer) to make repairs and inside renovations. The building was originally built as the Sanford Grammar School. In recent years, the building served as the Student Museum and became a rite of passage for elementary school children to visit on field trips. Last year, the University of Central Florida ended its partnership with the school system to use the building as a teaching museum. Since then the future of the building has been in question. The building is located in the residential section of the Sanford historic district, andneighbors have been concerned about how the building will be used. THE HISTORIC SANFORD FLORIDA FACEBOOK PAGE THANKS YOU FOR ALLOWING US TO SHARE THIS EXCITING NEWS! Great idea for a beautiful, historic structure that local government and the community seem unable or unwilling to save. Reserving space for community and arts group is a key provision that should pay dividends for both the owners and Sanford — if local government and the community do whatever they can do to help and take advantage of the repurposed facility. If that is the red brick building on 7th St.,I thought UCF had bought that a couple of years ago. UCF has never owned the building. Excited to see that this historic building will be adaptively reused for community use.